Citizens Advisory Committee members for their years of dedicated volunteer service. On a clear day, a visitor to Solano County Open Space can see the Sierras on the east and all the way to the Golden Gate Bridge on the southwest. But a narrower focus may reveal the real masterpiece here. The steep hilly grasslands, oak woodlands and riparian corridors provide habitat for a wide variety of species, including many that are rare and endangered. California golden violets (aka "Johnny jump-ups") provide habitat for rare butterflies. Several ponds provide prime habitat for the endangered California red-legged frog. Soils support native grasses such as purple needlegrass, blue wild rye and numerous wildflowers. The hills are a raptor’s paradise where golden eagles, Northern harriers, burrowing owls, and Swainson’s, Cooper’s and red-tailed hawks scan the open grasslands for food. Birders will delight in spotting Northern orioles, towhees, Western bluebirds, Swainson’s thrushes, Western kingbirds, black phoebes, tree swallows, and western meadowlarks. Mammals include black-tailed deer, coyotes, bobcats, and raccoons. 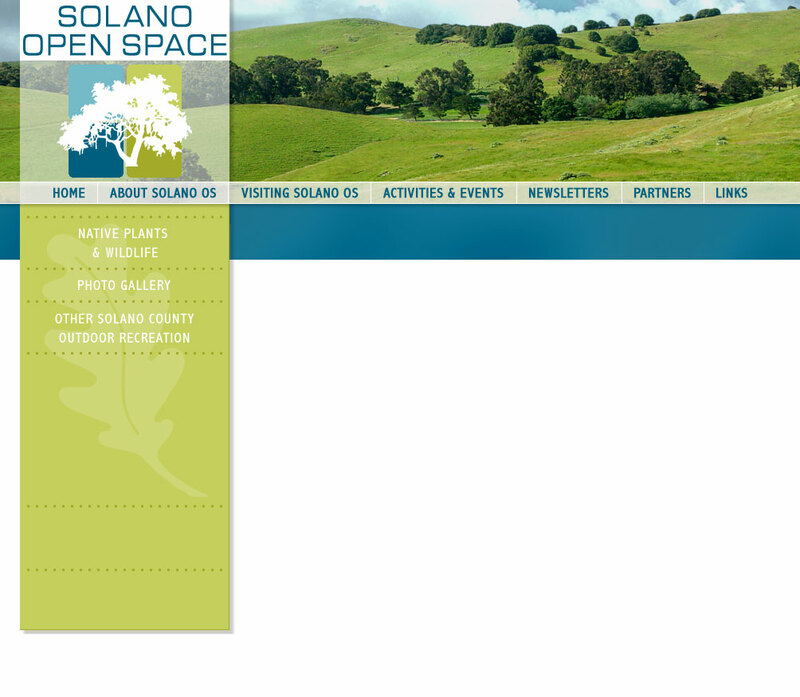 We encourage you to look around our website, find out a little--or a lot--more about Solano Open Space, and then come for a visit. At the current time, access is exclusively docent-guided. For more information click on the Activities & Events link above.